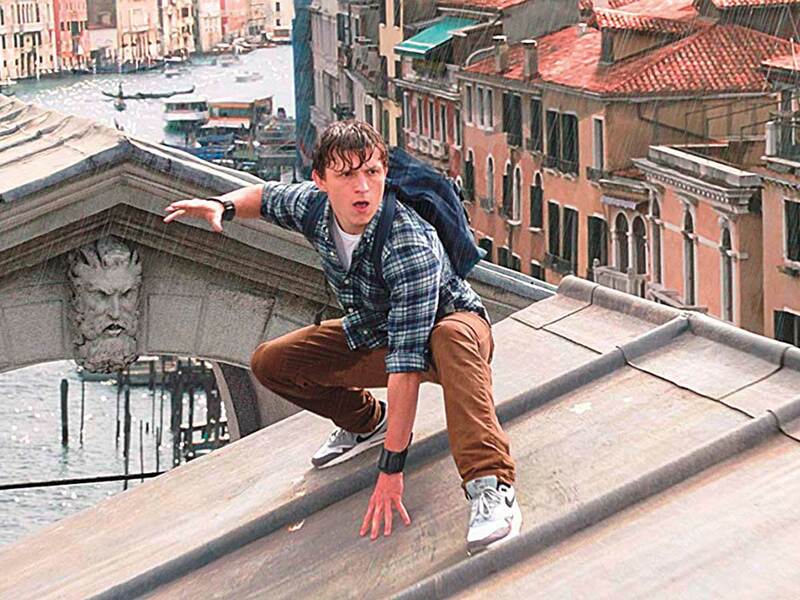 Looks like Peter Parker is alive and well and headed for Europe. Sony released the first teaser trailer for ‘Spider-Man: Far From Home’ on Tuesday, showing how the teenage superhero is ready to leave his Spidey suit behind to take a summer trip with his friends. “Europe doesn’t really need a friendly neighbourhood Spider-Man,” says Peter. Unfortunately for him, there are a number of elemental creatures wreaking havoc across the continent, prompting a visit from the also very much alive Nick Fury. Like Peter, Fury was last seen on the big screen dissolving into dust as a casualty of Thanos’ plot to rebalance the universe in ‘Avengers: Infinity War’. In ‘Far From Home’, Fury recruits Peter to help look into these Elementals. But the trailer reveals another mysterious figure stepping up to fight these creatures: Mysterio. Created by Stan Lee and Steve Ditko, Mysterio (aka Quentin Beck) was first introduced in 1964’s ‘The Amazing Spider-Man’ No 13. In the comics he was a stuntman and special effects designer who once disguised himself as the webslinger to frame him for some crimes. Beck was then able to position himself as a hero by taking Spidey down. The Elementals also have their roots in comics. Created by Tony Isabella and Val Mayerik, the Elementals are virtually immortal beings from another dimension who can each control water, earth, fire or air. A follow-up to 2017’s ‘Spider-Man: Homecoming’, the ‘Far From Home’ cast includes Tom Holland, Samuel L Jackson, Zendaya, Cobie Smulders, Jon Favreau, JB Smoove, Jacob Batalon, Martin Starr, Marisa Tomei and Jake Gyllenhaal. ‘Spider-Man: Homecoming’ is scheduled to hit theatres July 5.